You are here: Home / Bass Fishing News / Optimum and Lucky Craft team up! New mad Scientist Series. TEMECULA, California – Optimum Bait Company and Lucky Craft, two global leaders in fishing lure innovation, have combined their talents and creativity to introduce two new soft plastic lures – the Opti Shad and the Victory Tail. The Opti Shad combines the intense vibration of the Optimum Double Diamond’s tail with the “wandering fall” of Lucky Craft’s Wander hard bait. It’s available in both 2- and 4-inch sizes. Unlike other lures in its genre, the deepest part of its body is also the widest part of its body. The bulge creates a distinctive body roll and frantic kicking motion, even at ultra-slow speeds. It’s not quite as violent as the Double Diamond, but still has a distinctive tail kick. “I consider it to be the premier finesse swimbait on the market,” said Elite Series pro Bill Lowen. While it’s small in size and perfect for pressured fish, it’s also a big bass magnet. California guide Randy Pringle caught a 15-pound California Delta largemouth on the Opti Shad earlier this year. Elite Series pro Fred Roumbanis said that the Opti Shad is deadly fished by itself, either rigged weedless or on a jighead. In fact, it’s so easy to fish that his young son Jackson has already used a darter-head Opti Shad to land a 6-pounder of his own. It also shines as a trailer on the back of a spinnerbait, swim jig or vibrating jig. The Victory Tail possesses the same technologically advanced design principles as the Opti Shad. It features an elongated minnow style body, but instead of the paddle tail it has a forked tail section. It is available in both 3- and 5-inch sizes and, like the Opti Shad, can be fished with a variety of techniques, including dropshotting, weightless, Carolina rigged, Texas rigged, Neko rigged and the splitshot rig. Both lures are available in 10 ultra-realistic color patterns and will retail for $4.99. Optimum Bait Company will distribute these two new designs in the United States. Lucky Craft will sell them through their Mad Scientist brand in all markets outside of North America. Look for additional projects combining these two partners’ expertise in the future. 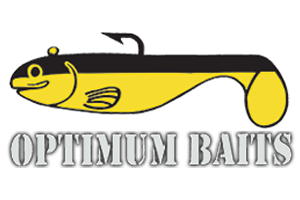 ABOUT OPTIMUM BAIT COMPANY: Optimum Bait Company has been the leader in swimbait design since 1996. Optimum was the first company to release a swimbait with an internal weight in the head, but that is only one of their many innovations. 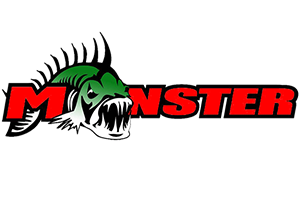 Using CAD machinery, the company has branched out not only within the swimbait market, but also into other genres – one such development was Furbit the Frog and the Poppin’ Furbit, which were chosen as the best new soft lure by the American Sportfishing Association at ICAST in 2006. While Optimum is based in Southern California, where swimbaits got their start, the lures have gained a strong foothold throughout the US as well as in overseas markets. For more information about Optimum Bait Company, go to www.optimumbaits.com.